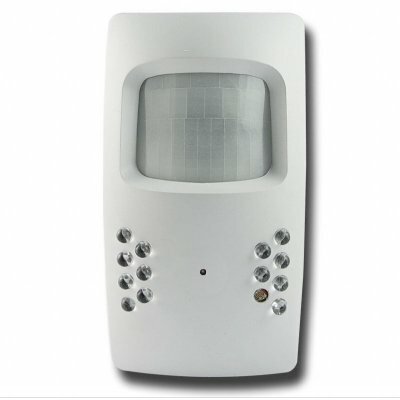 Successfully Added Motion Detection Wall Surveillance DVR - 1/4 Inch CCD + IR Light to your Shopping Cart. Discreetly sized wall mounted DVR System with 128MB of internal memory (expandable with SD card), a wide angle 1/4 Inch CCD Camera, motion detection ability and IR lights for night surveillance. Simply put, all you need to do is install and turn on this security device, and movement will trigger the recording to begin, and when the movement stops, the recording does as well at day or night. A great addition to any home or business security system, this DVR will easily attach to any wall and blend in for great covert surveillance. Added to this, you will have an SD card slot for its memory. This DVR system is compatible with PAL TV systems. Buy one sample for yourself, and then move on to bulk orders for your best wholesale savings.